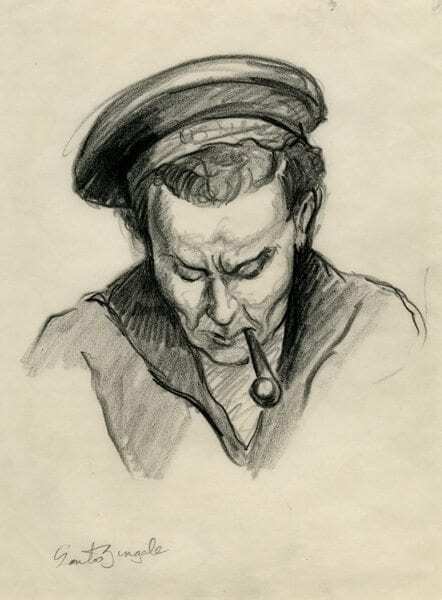 This fine art traveling exhibit features thirteen original sketches completed by Santos Zingale while he was on board the USS Bremerton during WWII. 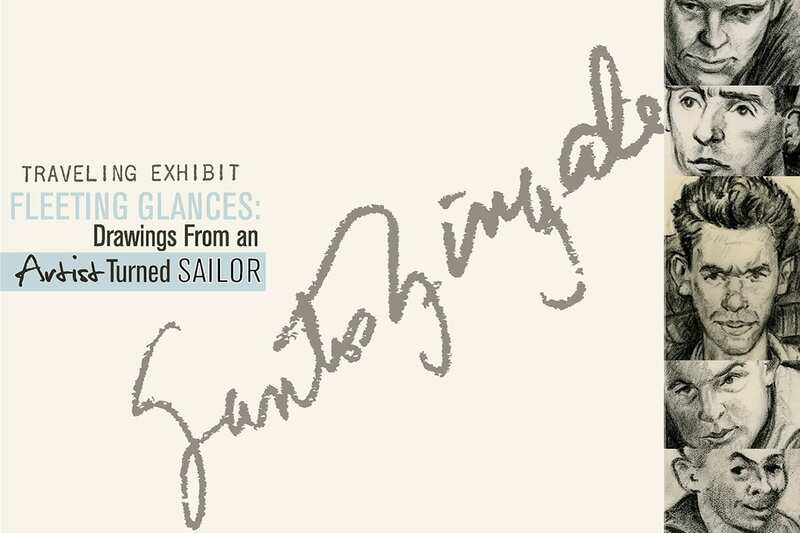 Zingale provides an intimate view of daily life on the ship, including moments of rest and relaxation. 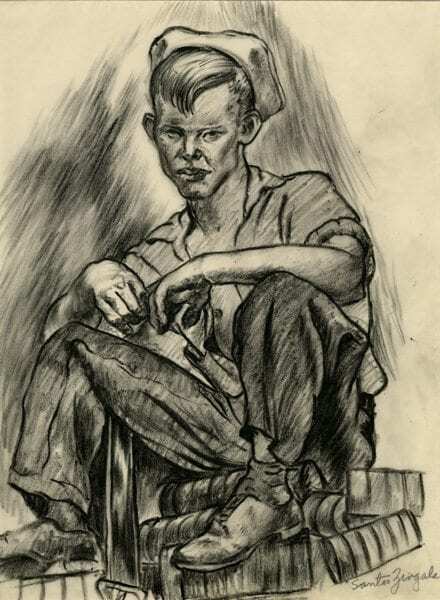 This exhibit of framed charcoal sketches is suitable for professionally-staffed museums and galleries. 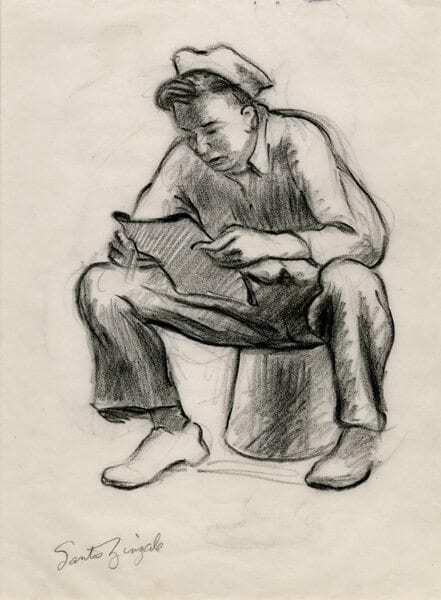 For more information or to inquire about the art exhibit contact Yvette Pino at (608) 266-1854 or email Yvette.Pino@dva.wisconsin.gov. 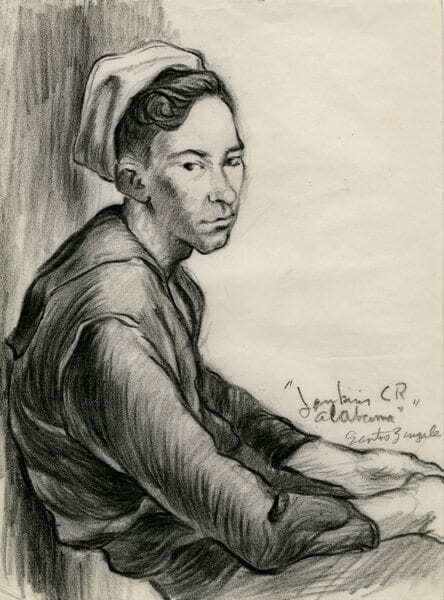 Santos Zingale was an accomplished Wisconsin artist and teacher who served in the US Navy from 1944-1946. 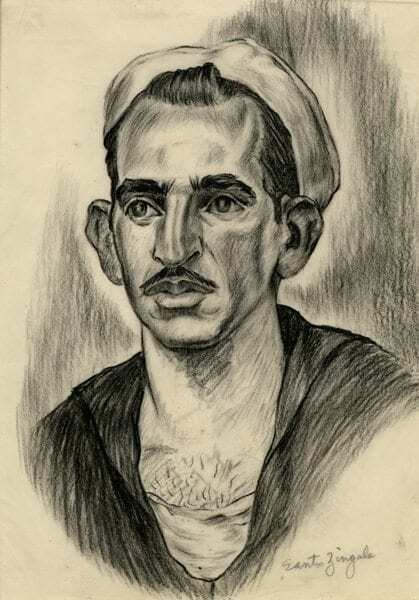 Zingale was in the U.S. Navy, where he produced sketches of life aboard the U.S.S. Bremerton. 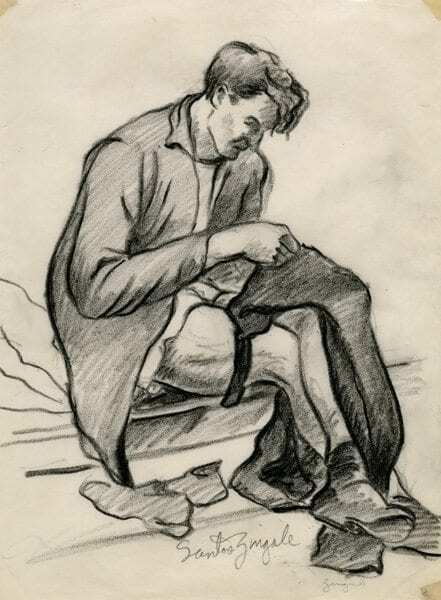 After his discharge, he was appointed Emeritus Professor of Art at the University of Wisconsin-Madison. He taught there until he retired in 1978.